Down, set, hike! The Big Game is coming up and we want you to have a great field position for your party. Throwing a game day party with the perfect drink selection can be tricky, but this year it doesn’t have to be. Don’t worry about what’s happening off the field, we’ve put together six cocktails that are sure to win over all of your guests. If you’re looking for a fruity drink with a splash of vodka, look no further! The Coin Flipper is the perfect mix of blueberry vodka and orange juice that creates a great drink your guests will think is a touchdown! 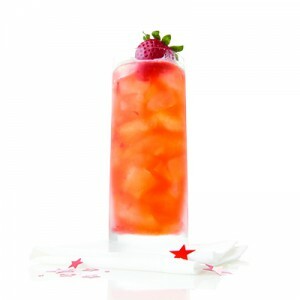 You can also make this drink peachy. Just use peach schnapps instead of blue curacao. Fill cocktail shaker with ice; add all ingredients (except blue curaçao and garnish). Shake well; strain into an ice-filled highball glass. Drizzle blue curaçao around the edge of the inside of glass (do not stir). If you like raspberries and rum, this drink is for you! This drink will also give your guests some nice fizz because of the ginger beer added at the end of the recipe. If you don’t like ginger beer, try adding ginger ale, lemon lime soda or club soda. You can also substitute raspberry liqueur for simple syrup for a stronger raspberry flavor. Muddle 2 raspberries and simple syrup in cocktail shaker. Add ice and remaining ingredients (except ginger beer). Shake well; strain into an ice-filled Collins glass. Top with ginger beer. Garnish with 2 raspberries. If you have a guest who enjoys whiskey, this smooth concoction could be the extra point for your party! This drink combines whiskey, fresh lemon juice and honey to create a great drink. If you would like a refreshing option, reduce the amount of lemon added to 1 tablespoon and add 1 tablespoon of orange juice. You can also transform this drink into a lemon-maple cocktail by substituting maple syrup for honey and rosemary for mint. Fill cocktail shaker with all ingredients (except garnish). Garnish with lemon slice and a sprig of fresh mint. If you want to add a sweet, whiskey drink to your starting lineup, this is for you. This cocktail combines lemon juice, whiskey and ginger beer to create a sweet drink treat. This drink could also be made as a whiskey sour by combining 2 ounces whiskey, 2/3 ounce fresh lemon juice, and 1 teaspoon superfine sugar in a cocktail shaker. Shake well; strain into an ice-filled highball glass. Then, garnish your drink with a cherry. Muddle 1 strawberry, lemon juice, and simple syrup in a cocktail shaker. Top with ginger beer. Garnish with strawberry. Blended drinks are always a great addition to any party. This blended cocktail will win over your guests with it’s sweet, orange keynotes. You can shake things up a bit and turn this sweet concoction into a faux orange margarita if you think your guests will prefer that option. 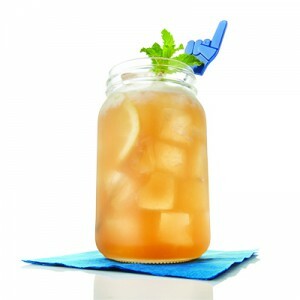 Just substitute tequila for the vodka and add 2 ounces sour mix and 2 ounces orange-flavored soda in and ice-filled cocktail shaker. Shake well; strain into a salt-rimmed martini glass. Top it all off with an orange wedge. Shake vigorously until sherbet is blended; strain into a chilled martini glass. When life gives you lemon juice, make a lemon drop cocktail! 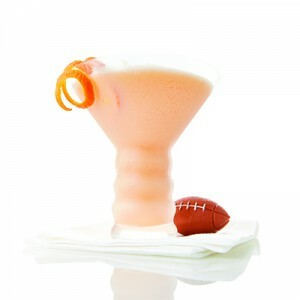 This drink scores a touchdown with its sweet and sour keynotes. If you want to serve a sweeter option, consider adding 1 ounce simple sugar in the shaker with all of the other ingredients. Fill cocktail shaker with ice; add all ingredients (except sugar and garnish). Shake well; strain into a sugar-rimmed glass.